The core part of the overall makeover is the entirely re-engineered aerodynamics concept by GEMBALLA. Without any exception, the manufacturer produces all components in real carbon in order to combine lowest weight with highest material strength. 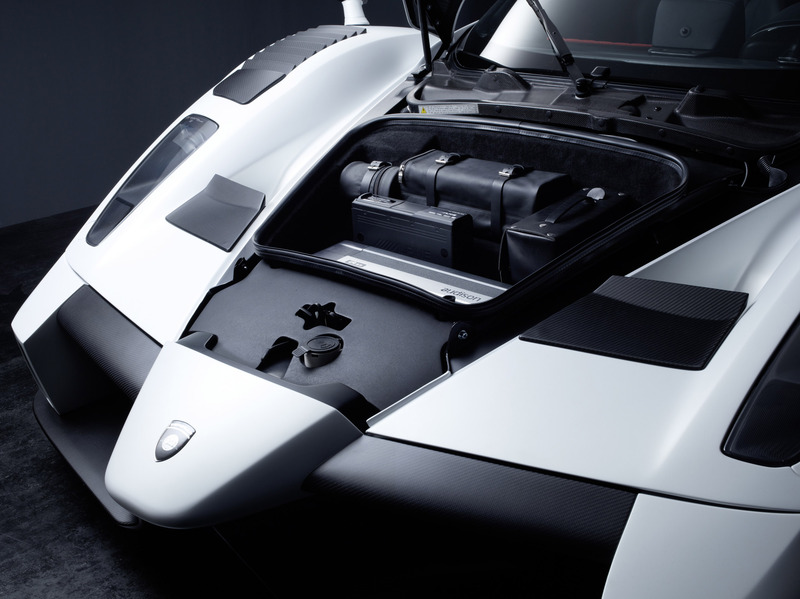 The air duct system of the GEMBALLA MIG-U1 does not only help bringing the power of the twelve-cylinder car onto the road. At the same time, the engineers from Leonberg (Baden-Württemberg) develop an extensive ventilation- and cooling concept. Here, both the front and the back wheel-houses are supplied with cooling air and this guarantees an optimal use of the high performance braking system. The outlets behind the wheels ensure that the heated air does not pile up. Moreover, the air inlets behind the doors and on the roof supply fresh air into engine compartment behind the passenger cabin. The newly designed air exhaust ducts end in and on top of the rear skirt. Their dimensions also allow the supply of an additional radiator. The GEMBALLA car body components therefore guarantee the functionality of the new super sports car and provide the car with a unique look at the same time. 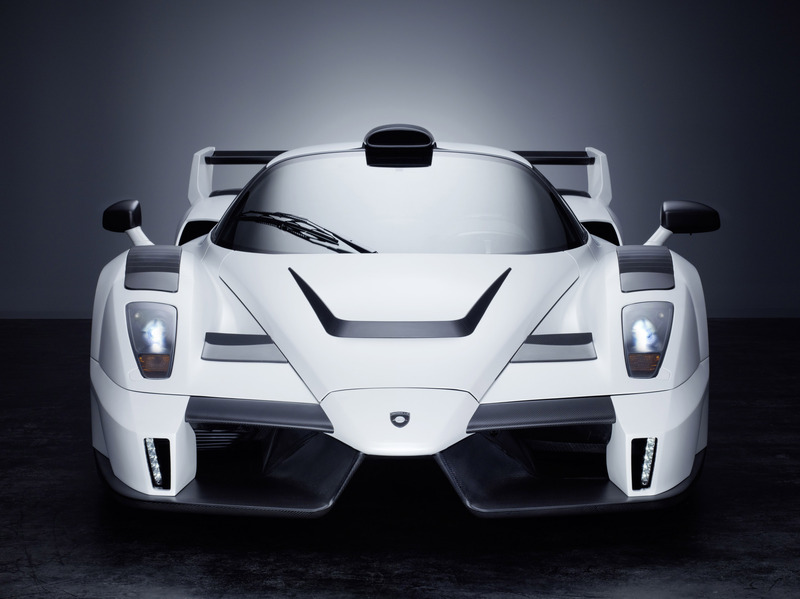 Following the design of Formula-1 racing cars, the GEMBALLA MIG-U1 has an extended front and an edged rear spoiler. Formerly rounded edges were replaced in order to provide the car with an aggressive look with greedy air inlets and outlets. Even the rear lights do not remain openly on the back, but are cased and equipped with air ducts. The MIG-U1 grows broader by 80 millimetres at the front- and 100 millimetres at the back axle. For everyday use, the optional electro-hydraulic height-adjustment (HLS) is extremely innovative and enormously helpful. By pushing a button in the passenger compartment, it is possible to lift the body by 45 millimetres at the front- and rear axle and therefore allows driving over obstacles such as underground car park entrances and traffic ramps. Also by pushing a button or by reaching 80 km/h, the MIG-U1 lowers itself to its original level. Additionally, the multiple adjustable sports suspension which is equipped with ball bearing bushes significantly improves the handling and driving comfort of the MIG-U1. The forged wheels GEMBALLA GTR RACING forged by our development partner "Advanced Structural Alloys" contribute both to the appearance and the performance of the car. The wheels which are made from a massive light alloy block combined highest stability with an extremely light weight. The elaborate forging process reduces the unsprung masses of one wheel set by 16 kilograms. Therefore, the wheels respond in an even more agile way and precisely follow every steering command even under highest strains. At the front, the 10x19 inch rims hold high-performance wheels in the dimension 265/35, while the back axle transfers the power of the engine through 13x20 inch rims with 335/30 wheels. In the interior, GEMBALLA devises a control centre which perfectly combines functionality and comfort. 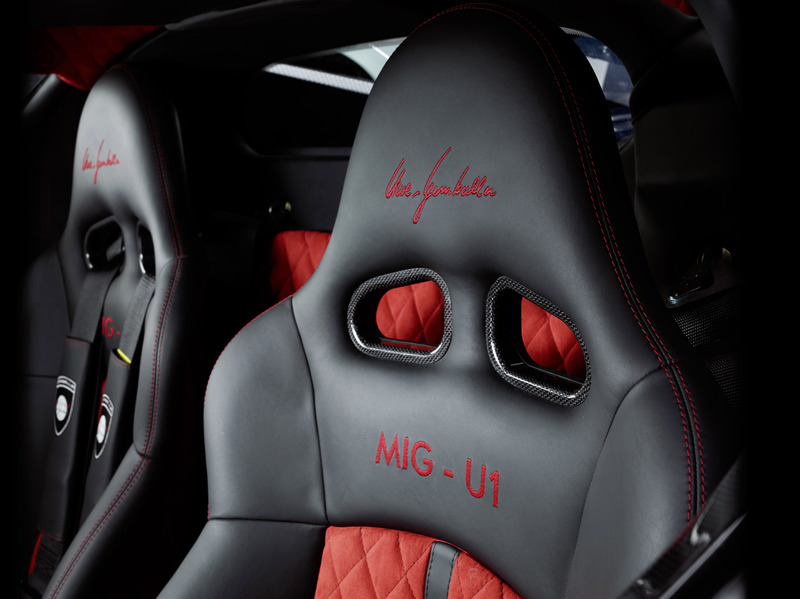 The especially for the GEMBALLA MIG-U1 designed seats, the custom-made centre console and the sports steering wheel with its leather-ultra suede combination guarantee full control over the car. At the same time, the interior of this super sports car reflects pure luxury. All interior components are lined with leather and ultra suede. The integrated high-end multimedia system offers a seven-inch touch screen, navigation, DVD changer and an iPod connection. The 950-Watt amplifier operates the high frequency ranges in the cockpit front, the 165 millimetre large membrane on the door linings and the subwoofer between the seats. GEMBALLA-logos on the seats, the floor mats and the safety belts perfect the refinement. 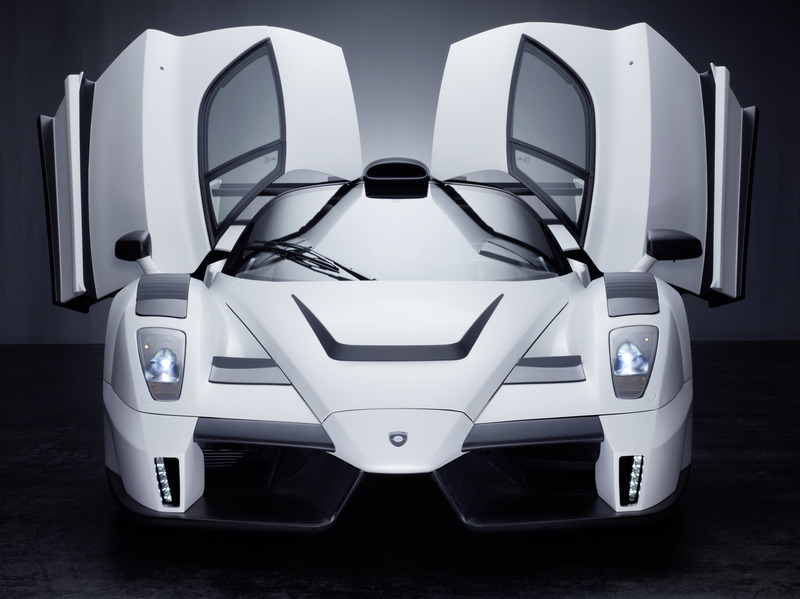 With the GEMBALLA MIG-U1, the automobile manufacturer once again proves that its know-how is not only limited to Porsche cars. On the basis of the already exhilarating Ferrari Enzo, the engineers developed a unique car. But even the limited edition with only 25 cars is not exclusive enough for GEMBALLA. 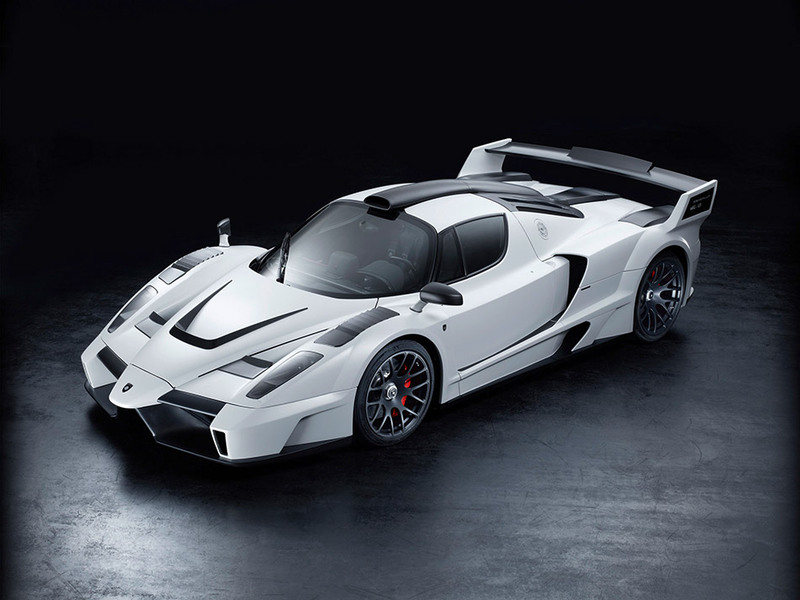 Therefore, every single GEMBALLA MIG-U1 is individually adjusted. This ensures that there will not be any identical cars. Therefore, the specialist with its reputation for unique high-end refinement once again meets the requirements for highest individuality.